Kickstarter is the number 1 place that game designers go to get funding to self publish their own board games. 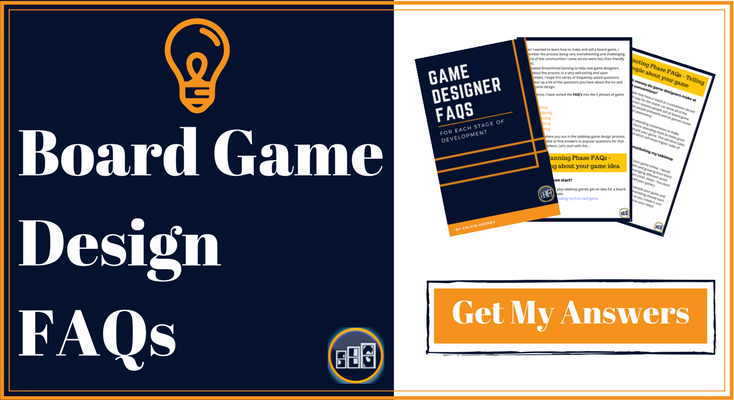 If you want to self publish your board game through Kickstarter, then start here. I have researched many of the top board game Kickstarter campaigns and have found that they all contain similar information. Each campaign is made up of 3 sections of information (click on the following to scroll to the section). Feel free to use this template as a guide for your own Kickstarter campaign. This is just what I have found to be working for most of the top board games on Kickstarter recently. Adjust whatever you need in this template to fit your audience and the board game you are creating. I would also like to mention that a lot of the big companies that produce successful Kickstarter campaigns have an animated opening video. While these videos are awesome looking, I want you to be aware that these do not come cheap. Animation costs $300-$500 a minute and that isn’t including the professional voiceovers that accompany most of these animated videos. The good news is you don’t HAVE to have an animated video to be successful. Even if you just have a video of you (the designer) talking about your game with some footage of players excited after playing your game, then that should be good. This will help your potential backers relate to you and feed off of the excitement of other players. I have talked about how to make a good pitch before, but the main thing to keep in mind that your main goal with the pitch is to capture your audiences’ attention. The best pitches on successful Kickstarters for board games average about 3-5 sentences and are 1-2 paragraphs long. They say just enough to make you want to keep reading and find out more about the game. What’s in the game? Typically this is done in picture form at this point of the Kickstarter campaign. You can notice that most companies show you the contents here as well as listing them in text form towards the end of their campaigns (see below). If past successful Kickstarters have shown me one thing, it is to take time displaying the contents of your game so your audience is aware of exactly what they are getting. This builds much needed excitement as they patiently wait for their awesome game to arrive. The bigger game companies show additional videos in this section. 2 common videos I see here are “how to play” along with a “rules explanation” videos. Making a lot of videos is hard work, especially if you don’t have the right equipment. Luckily, there are a lot of boardgame reviewers on Youtube. Instead of making your own videos, you can contact several of them and ask how much they would charge to make a “how to play” your game video. Again, the bigger companies will have a video here with a lot of players (typically at a gaming convention) talking about how fun the game was to play. While a video is best at building up excitement among potential backers, a list of quotes from your playtesters in the form of text would be much better than not having player feedback at all. So if you have some cool video footage, put it here. And if not, then it is ok, simply quote the players that loved your game. What’s in the box? What do the backers get for pledging X amount of money? This section is full of informing potential backers that are interested after reading/watching your “about the game” section. This is where you talk about what your backers will receive for a certain amount of money donated. Pictures are typically used to show what comes with the different pledge rewards. Note – This section of the campaign is a restatement of the pledge rewards as seen in the sidebar of the Kickstarter campains. Most of the top kickstarted board games of 2016 have decided to go with a small amount of pledge options (2-3). If the customer wants to pledge more to get more, then they can select from a large amount (7+) of add-on content of their choice. To understand stretch goals, let me first explain a bit about a Kickstarter campaign. First, there is a monetary goal for each game trying to get kickstarted. For example, say my goal to fund my campaign is $10,000. If my campaign makes less than $10,000, the campaign closes and everyone gets their money back. However, if the game makes $10,000 or more, then it is successful and I am required to fulfill my pledge rewards. If you want to encourage more backers, then you offer stretch goals. This is not required but say in my $10,000 campaign, I want to reward my backers with additional content for over supporting me. I can do this by adding a stretch goal of $15,000. Once my campaign makes $15,000 or more, I would then give them additional content (usually at no more cost to the customer). Stretch goals are very popular in the large and successful campaigns. Just keep in mind you may want to limit yours as an individual trying to Kickstart your game because stretch goals add additional complexity to fullfilling your campaign. Make educated guesses on what you think you can reasonably fullfill if the stretch goals are made. It is better to deliver a few pledge rewards and stretch goals than not deliver on time because you set too many (unrealistic) stretch goals. A lot of companies have started offering a very high amount of add-ons (7+). Having a lot of add-ons will add complexity to your campaign so be mindful not to go overboard with this. But it is a good idea to at least have some number of add-ons. Keep in mind you can have stretch goals that unlock that are also add-ons. Meaning, if your campaign doesn’t reach the stretch goal, then that add-on isn’t even available for purchase. Why is this good? Well, it helps you plan out your Kickstarter better. For my example campaign, say I have a stretch goal of $90,000 that adds a cool additional character add-on. I can feel safer offering this because I can calculate how much that additional character would make to produce (hiring the artist, designer, etc.). What wouldn’t have been a good idea for me to offer had my campaign only made $11,000 may actually be something cool and worth my time making at $90,000 plus. I see most campaigns relist the contents of the game here. They don’t use images again, though they will simply list the contents of the game in the form of a bullet list. This is a good time to let the viewers know when to expect to receive your game if they decide to back. Also how much the shipping will cost. While not required, your Kickstarter campaign will have a much higher % chance of success if you ship to Europe (EU). There are a lot of European board gamers that are eager to back new projects so don’t forget about them. Here is a great article about making your campaign EU Friendly. Be transparent with your backers about the potential problems you will have delivering your game to them on time and in a professional manner. Also, let them know how you plan to solve these potential problems. Having a refund policy helps to reassure potential backers. Many marketing articles I read say that you should have a refund policy because there are a good number of buyers that won’t buy without being sure they can change their mind. Even though most people don’t change their mind, it is still calming to them knowing they can if they want to. You can either think of some FAQ’s before you start receiving questions, or create them as you get the same questions over and over. I see that this section of most campaigns isn’t used too much (only 2-4 questions filled out). I don’t know if this is good or bad. It is just good for you to know that even a lot of the best Kickstarter campaigns don’t have many FAQ’s filled out. 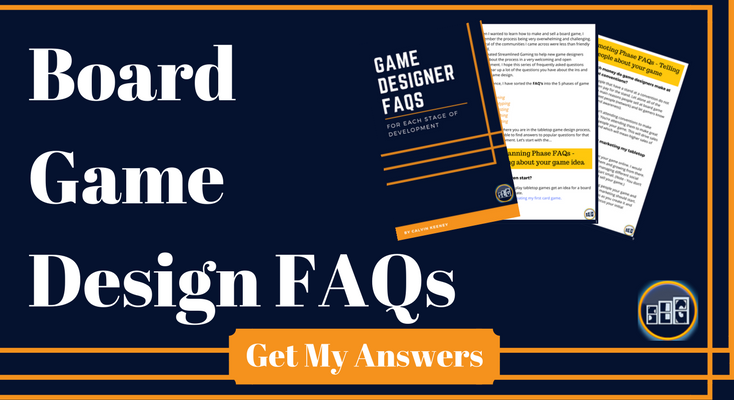 Use this section to help save you some time as well as answer questions that potential backers may want to ask but don’t (because the answer seems obvious). Do You Have any Tips on How to Make a Kickstarter Campaign? Have you ran a Kickstarter for your board game? If so, what worked best for you? Or maybe you have seen successful Kickstarters all doing something that I haven’t listed. Whatever the case may be, if you know something that could help new game designers, then let us know in the comments below. We will be very grateful! Any recommendations for companies that do those animated videos? (i.e. HATE, Epic Zombies etc…) Might be pricey but seem worth it. However, the pitch video “experts” that are easily found can only make simple ones that I can do myself… this is tougher to find than I expected. GREAT article by the way, thank you! Hey! Thanks for the positive feedback. I like hearing people enjoying the articles. In 2015 he told me the industry average for a professionally created animated video was $300-$500. I’m sure it’s roughly still that expensive. And as you have mentioned, you can probably find work for much cheaper than that but the quality may be mediocre. Wow. I couldn’t ask for a better reply. Thank you so much! Ill look into his work. Hopefully he isnt too booked up. You’re welcome! Let me know how it goes for you. I’ve never actually had an animated video made for me myself and would like to know how the process goes for you 🙂 Good luck!